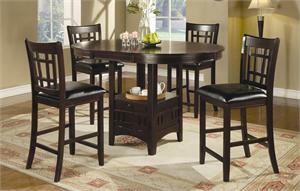 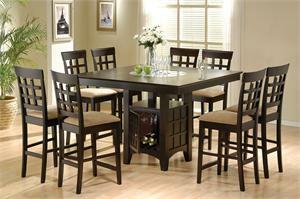 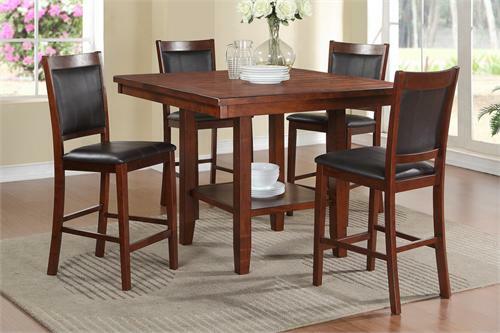 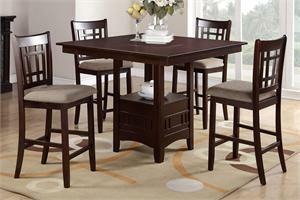 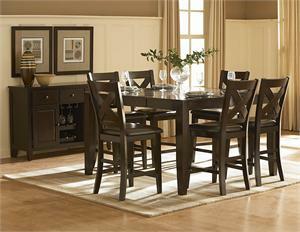 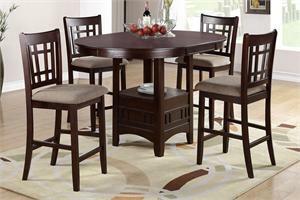 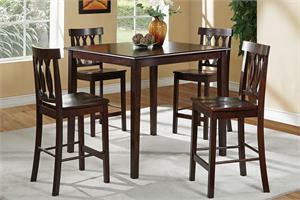 This counter height dining set includes : 1 table and 4 chairs. 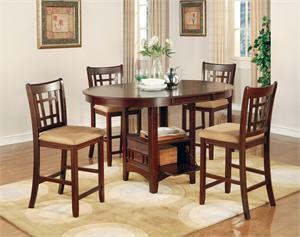 Dine in style with this delightful dining set that features a rich acacia counter height table and four matching chairs. 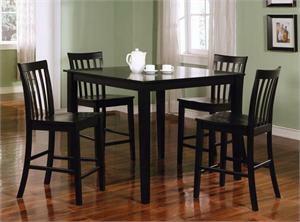 Each chairs features a black faux leather back support and seat cushion trimmed in the vibrant color. 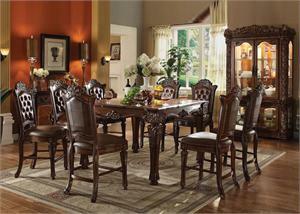 The table also includes a lower platform perfect for displaying your fine china.